Jamiyah Food Bank is committed to providing food for the poor and needy in Singapore, regardless of race and faiths. Our aim is to distribute to these disadvantaged families or individuals and ensure there’s daily food on the table for them. One of our Community Outreach Channel was at Marsiling Blk 4. We deliver perishable food items of vegetables and fruits to them on a weekly basis. 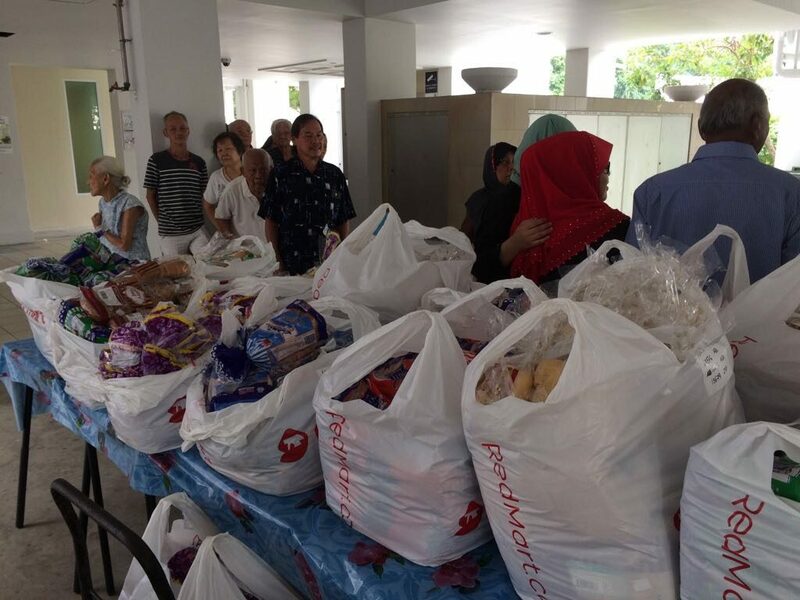 The beneficiaries would collect the food every Tuesday and they have a systematic arrangment of collection at the void deck with the help of volunteers from Marsiling residents. It is heartwarming to see all the food items being distributed to the right people who are really in need.